The Green House, Art Jakarta 2018. Viro participated in the largest art exhibition event in Indonesia, Art Jakarta 2018. Viro collaborated with Designer, Kezia Karin and Lanscaper, Larch Studio to create a 200m2 pop up restaurant that brought the atmosphere of a tropical garden into The Rirtz Carlton Ballrom, Pasific Place. The atmosphere of a beautiful garden inside The Green House, is generated by the presence of woven flowers, leaves, birds, and also the greenery. Wonderland was the project of Viro's collaboration with Designer, Kezia Karin and SANA Living. 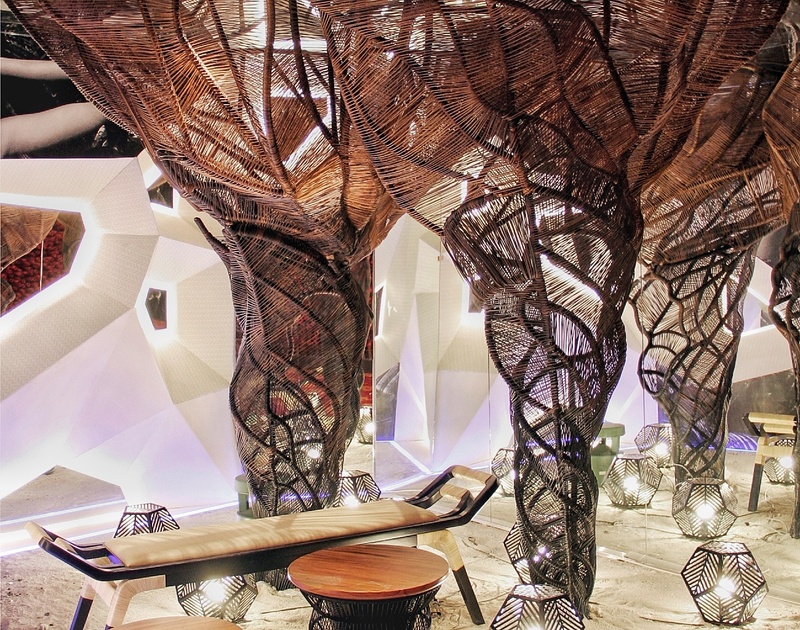 This collaboration, was succeeded transform one of corner of the room sizes 4m x 6cm in CASA Indonesia, into a space that features woven material into a modern design. 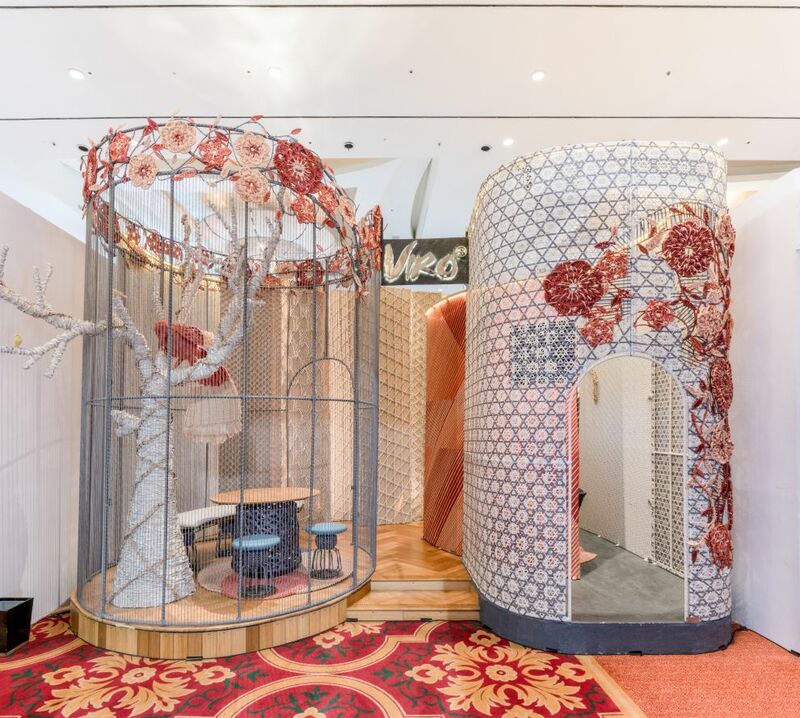 Viro showing a collection of woven products such as wall dividers, carpets, room partitions that resemble bird cages, woven birds and trees. 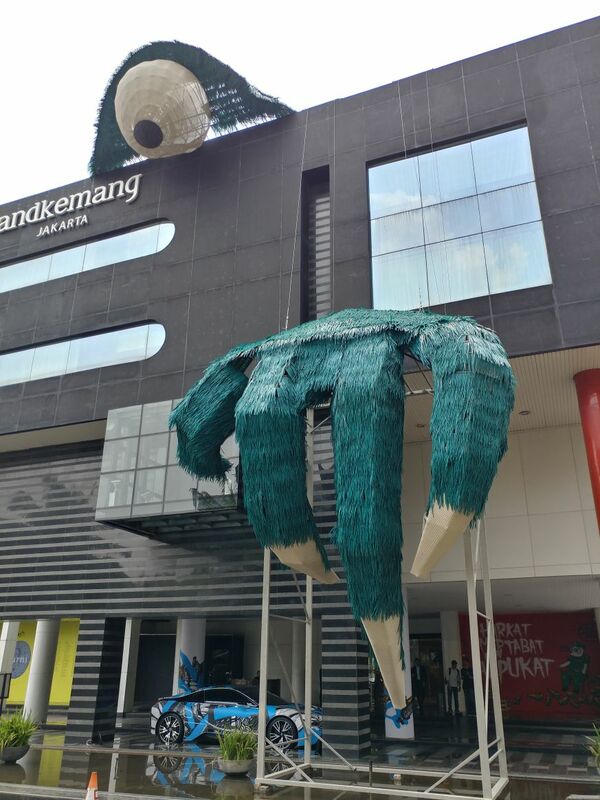 There’s Evil, an architectural design for ICAD 8 Murni”s statement exhibition by Ari Indra, digests Indonesian culture and folk tale into a contemporary exterior design. The design forms a Buto Beeru character, which the claws and eye appear from a mass gap, clutched between beams and emerge from the peak. It symbolizes a malicious, dark desire, and malignance which however we strongly want to neglect it, it is inevitableness. 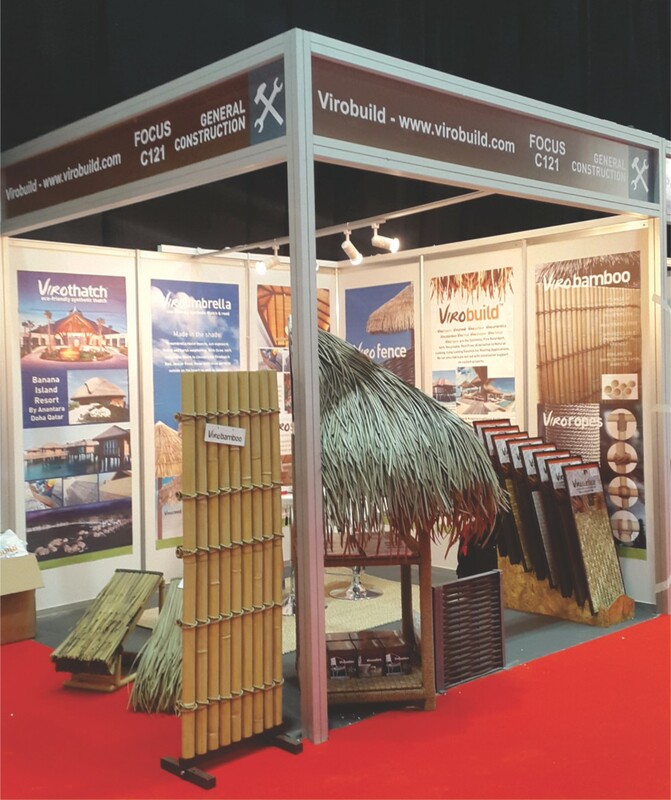 Material: customized Virothatch, Viro's synthetic rattan/fiber, metal frame. Viro got a chance to feature in Francis Surjaseputra's work. 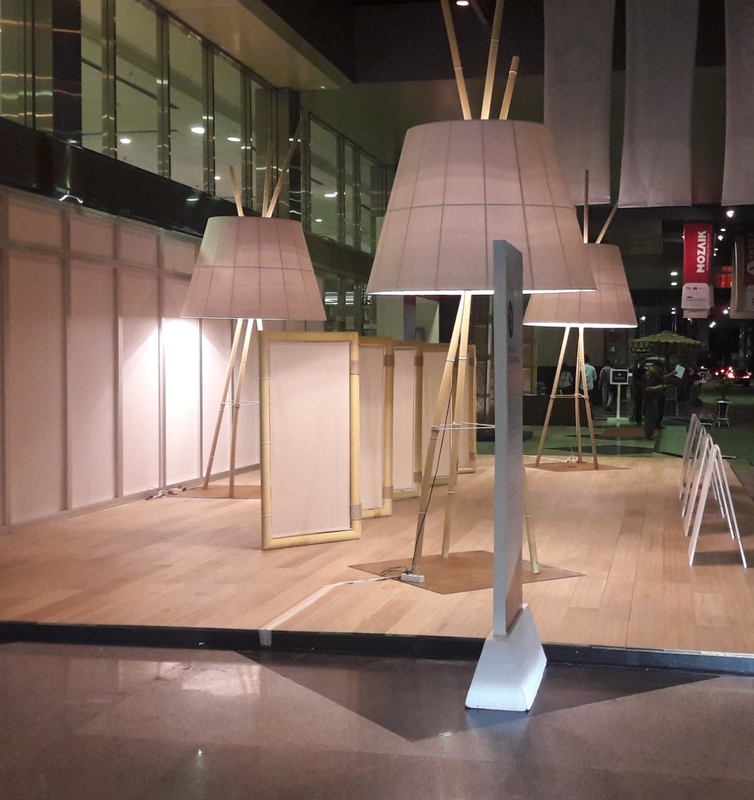 Viro provided Virobamboo installation for the design with themed "Habis Gelap Terbitlah Terang" ("After Darkness, Comes The Light"). 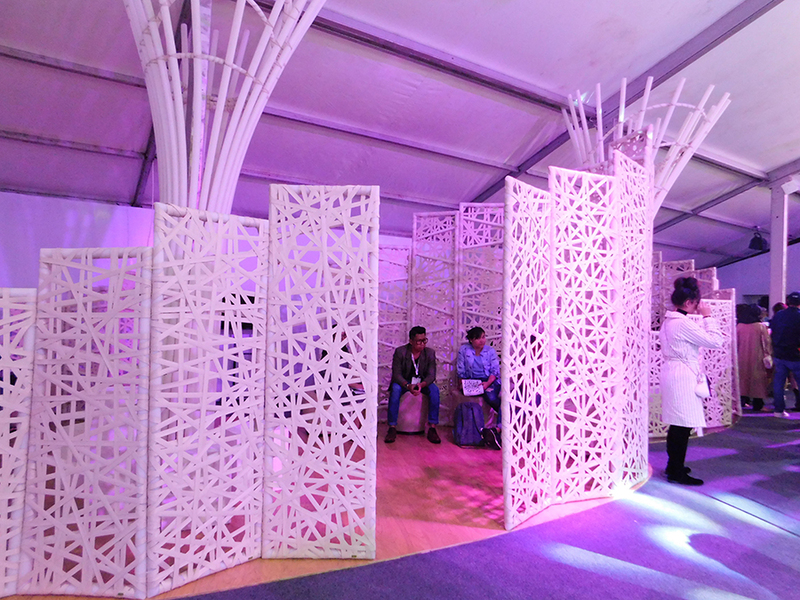 For Indonesia Building Technology(IBT) expo this year, we made bamboo and woven installation from parametric design by Formologix. Both bamboo and the woven fiber are made of our new developed material of HDPE. We also did the welding for the frame. Food and Hotel Indonesia 2017 is leading international food and hospitality event, attracting key trade-only buyers from all sectors of the food, hospitality and retail industry. 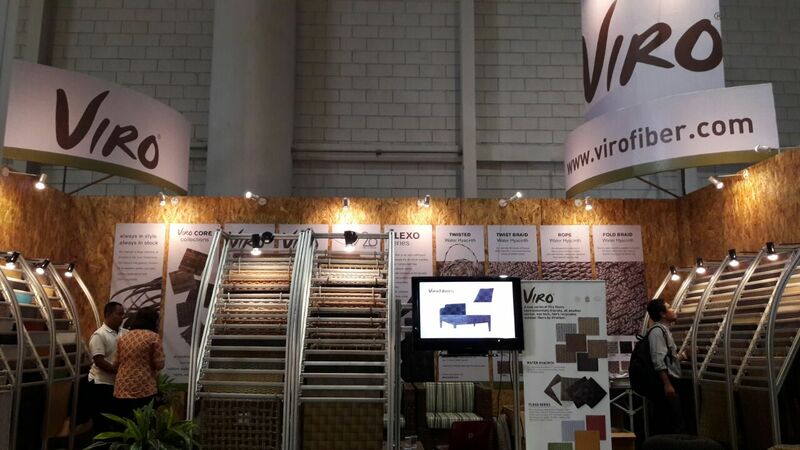 Virofiber recently showcased the collection in International Furniture Expo Indonesia 2017 (IFEX Indonesia 2017). 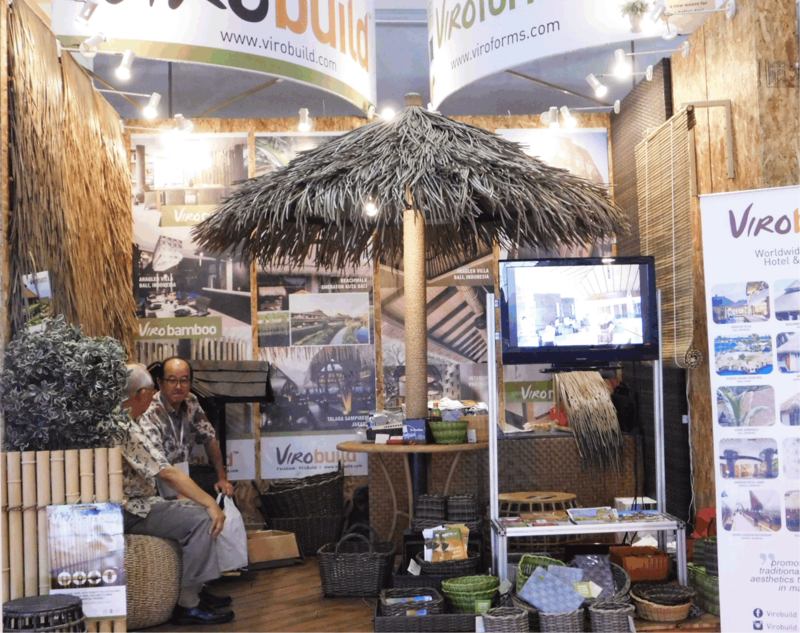 It held at Jakarta International Expo, Kemayoran. In line with the theme of IFEX, “The Essence of Infinite Innovation”, Virofiber also introduced some new innovative collections of fiber at the exhibition. 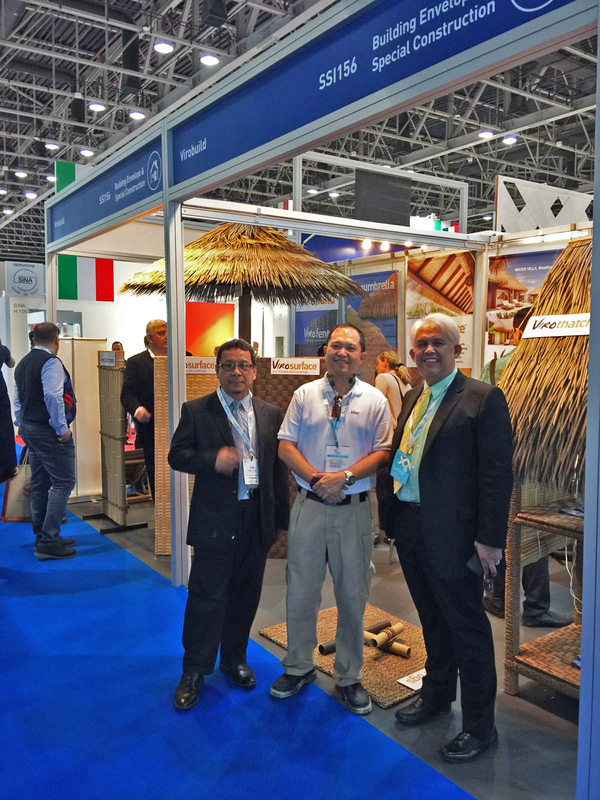 Viro participated in a largest construction event in the Middle East, BiG 5 Dubai 2015 and 2016 as the only participant of global supplier of construction product from Indonesia and got a visit by Indonesian Embassy. 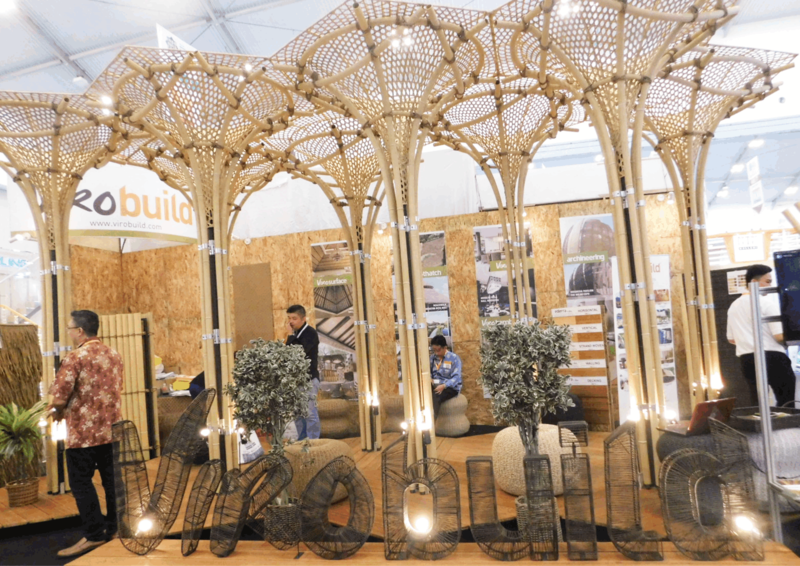 A total of about 3,000 exhibitors demonstrated construction products at the 2015 edition of The Big 5, which runs from November 23 to 26 at the Dubai World Trade Centre. 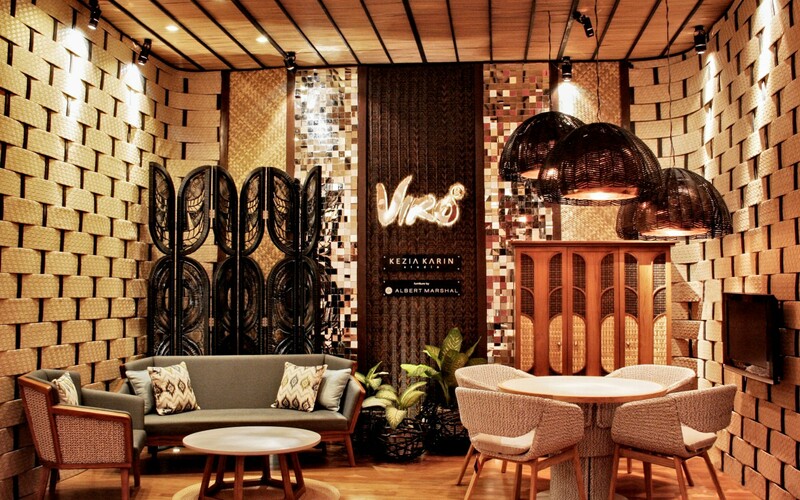 Viro had collaboration with Indonesian designer and stylist, Kezia Karin and Albert Marshal in Bravacasa’s CASA 2015 exhibition, at The Ritz Carlton Ballroom Pacific Place, Jakarta from 9-12 July 2015 in Jakarta, Indonesia, to showcase Viro’s latest material innovation, the Hyacinth and ViroSurface Collection. They designed a range of indoor furniture with unusual combination of material, utilizing the Hyacinth Collection from Viro to get that distinctive look in their collection. 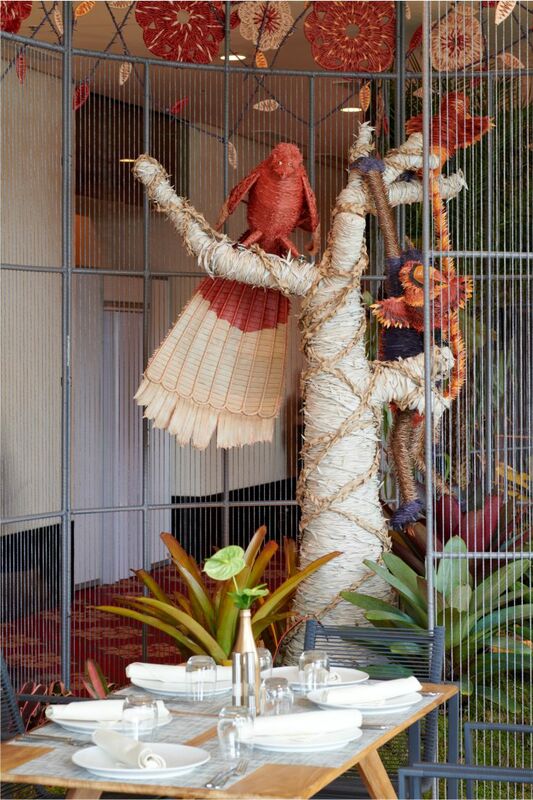 Viro created woven panel for an art installation, designed by Albert Marshal and Kezia Karin for an annual interior and living exhibition event held by Bravacasa at The Ritz Carlton Ballroom Pacific Place, Jakarta from 9-12 July 2015 in Jakarta, Indonesia. The installation is titled “Self Destruct”, their visualization of the world that has been impaired by our own greed and ego. A world where the green is slowly replaced by the blacks that leads into chaos and destruction. 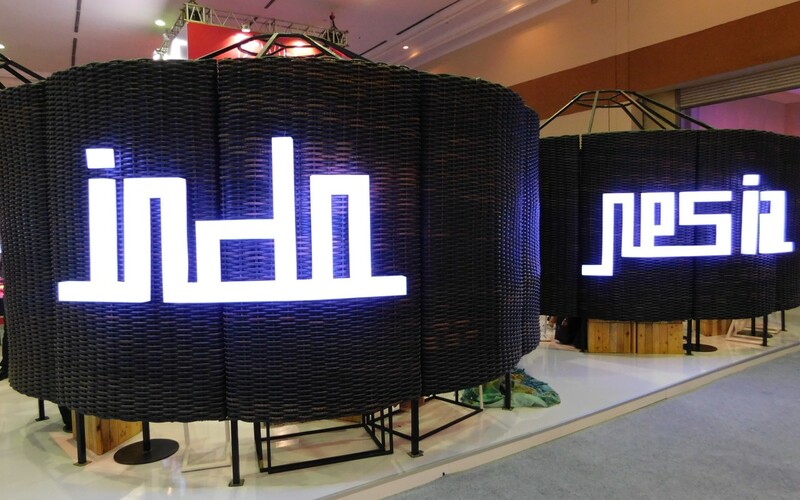 Viro exhibited an Archineering woven panel for Indonesian booth in World Islamic Economic Forum (WIEF) 2016. Indonesia was chosen as a host to hold the forum in the year.